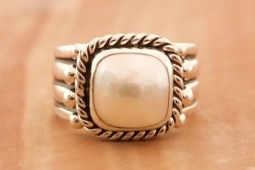 Sterling Silver Ring featuring a Genuine Freshwater Pearl. Created by Santo Domingo Artist Raymond Coriz. Signed by the artist.